Abby is our first ever pedigree dog here in Australia. 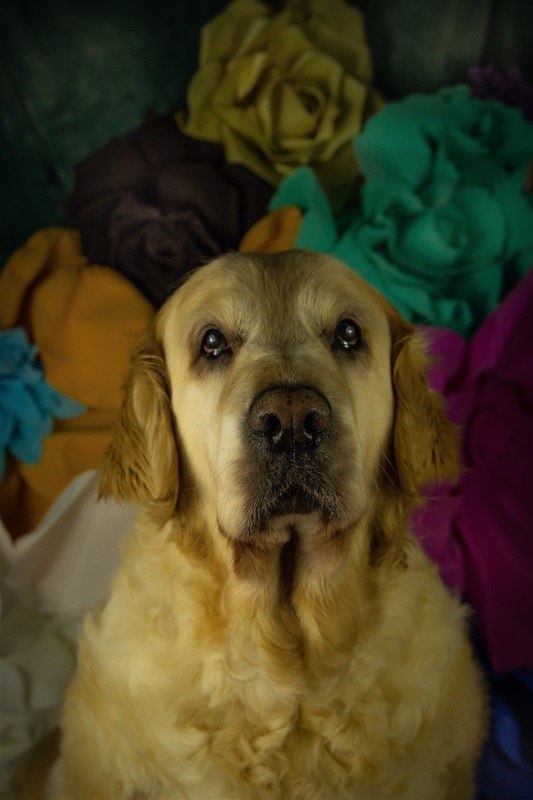 She is our gorgeous Golden Retriever who we got from Dancingate Kennels in Perth. Martyna is Abby's primary care-taker and loves her old-bubba to pieces. She is the matriarch of the household and all our dogs respect her. All our bubs are brought up with Abby and taught the ways of a well-rounded individual. She is our honorary Dane and always comes out with the big-kids on family outings whether on GDLAWA walks or to the beach. Sheba is our first ever Great Dane and a fawn! 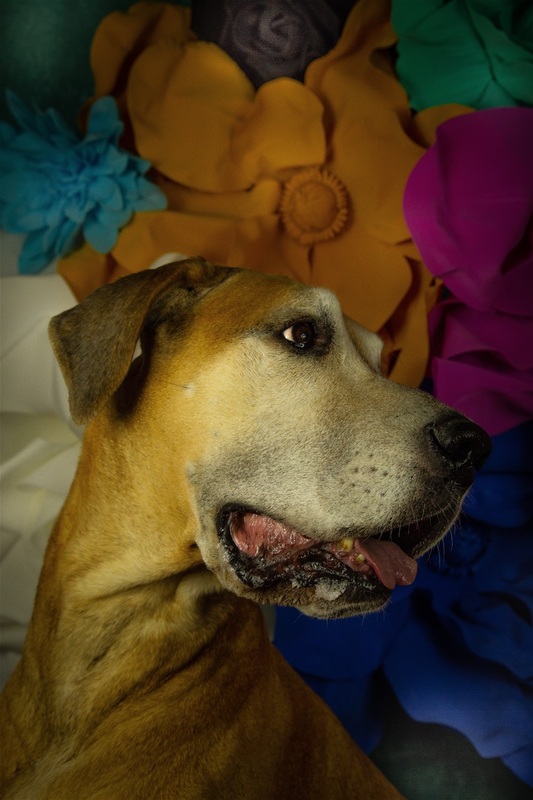 She is the Dane-elder of the household - a September 2010 baby. 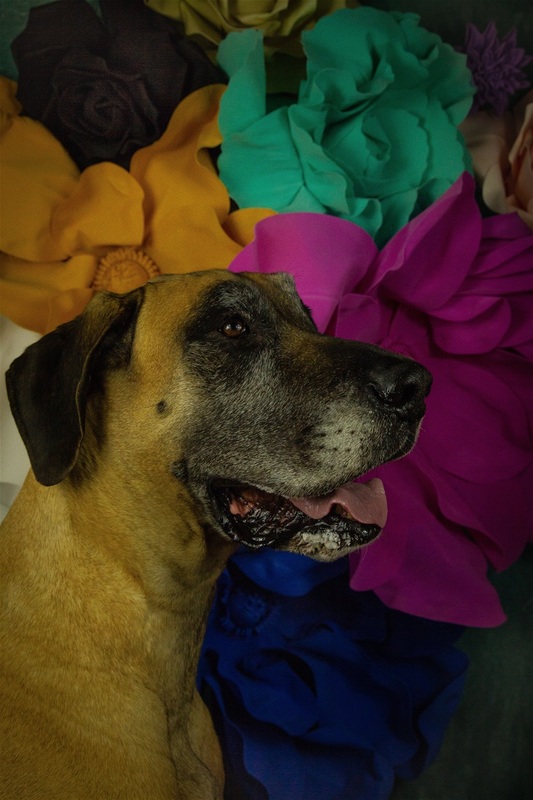 Sheba has taught our family a lot - not only about Danes, but about life itself. She's forever happy and like her brother, always wanting a cuddle. She has a HUGE fetish for toys - especially anything that sqeaks! - and will take any new toys away from the others, when one takes her fancy. She is Alex's "heart dog" and the two of them are inseparable. 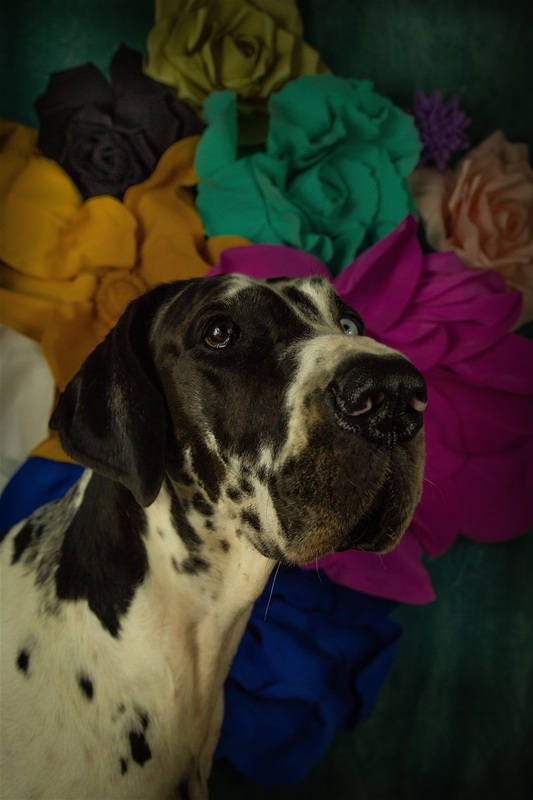 Boris is our second Dane, as well as our second fawn and the brother to our Sheba. He is an October 2011 baby who we got locally from a breeder in Langford. Boris is a cuddle-pot who sticks to you like glue - the only way to get him to move, is to give him the pats he wants and once he's happy, he will go on his merry way. His favourite word is "cookie" and he gets them by the bucket-loads. He's our spoilt "special" man, who has taught us where hard work with a Dane can get you - forever loyalty and love. Crystalquin Sheridan aka Maja, along with her sister Cc, are our first pair of breeding females, who we got from Crystalquin Great Danes in NSW. Maja unfortunately had to be removed from our breeding program, as she has been diagnosed with hereditary glaucoma, which will cause her to loose her eye-sight - when, we will never known, but she is receving the utmost care and attention - and will stay with us as a member of the family. Maja is known as the show-pony of the dog world, as she loves to prance around in the ring - Maja will continue to be shown till she is unable to be due to her condition, of which she will then attend as a spectator. Crystalquin Andromeda aka CC, along with her sister Maja, are our first pair of breeding females, who we got from Crystalquin Great Danes in NSW. We were very fortunate that CC managed to pass her health testing, considering that unforunately Maja was diagnosed with narrow-angles in her eyes and thus, sterilised. 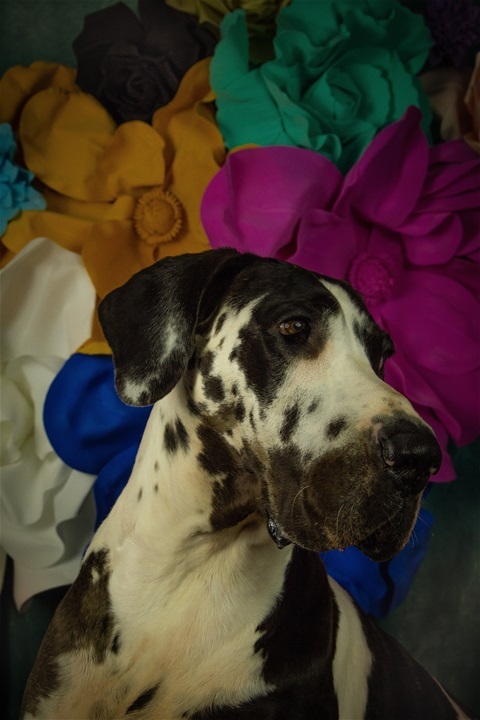 CC is a foundation for our breeding, as our gorgeous CC in June 2017 gave us a healthy litter of 10 Great Dane puppies - of which we have kept Costa to continue on her legacy. CC never enjoyed the show ring so her show career was short lived with some Reserve Challenges awarded by judges - she always received the comment that she had a stunning head and that she was a very solid, and well-boned female. CC is now sterilised and enjoying her life in retirement.